Our skills packs focus on what students need most - learning to read, write, and study across all the content areas. Students need to apply reading skills in a slightly different way for each subject area, and yet there are common themes for each. For any content area, they need to read for understanding, break down the text features, and analyze or re-read as they go. 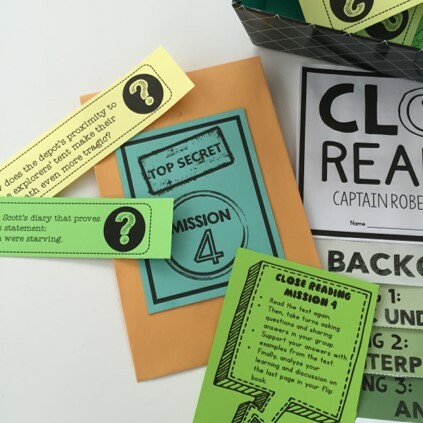 The reading skill packs focus on the variety of reading strategies that can come in handy in each content area. 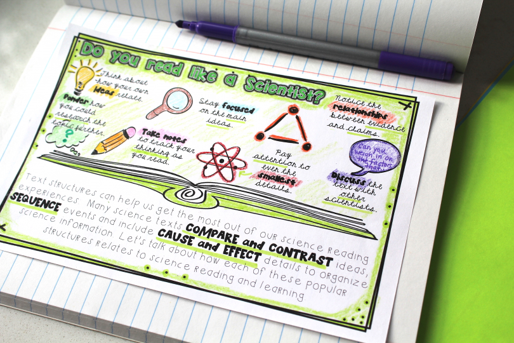 The Social Studies reading skills pack guides students to explore reading strategies that they can use for a variety of different types of historical text. 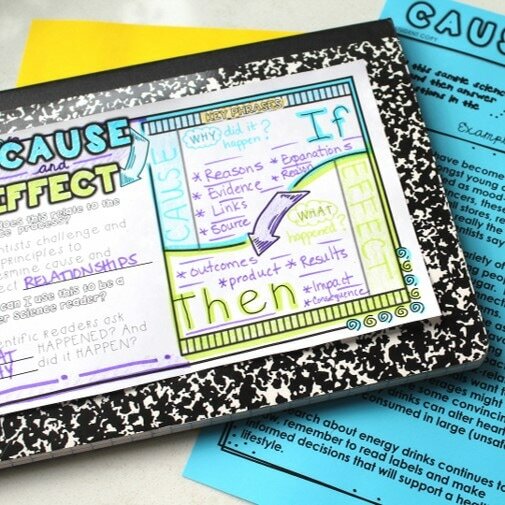 The Math lesson guides students to break down word problems, work through examples, and practice a 3-layer reading strategy to build concepts. 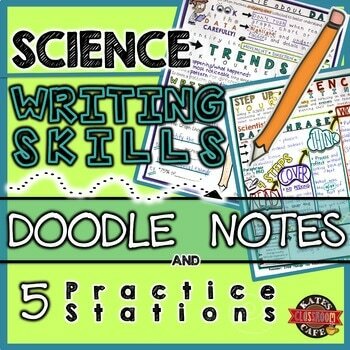 The Science set helps students to investigate non-fiction text features. Students use a variety of forms of information to develop understanding. 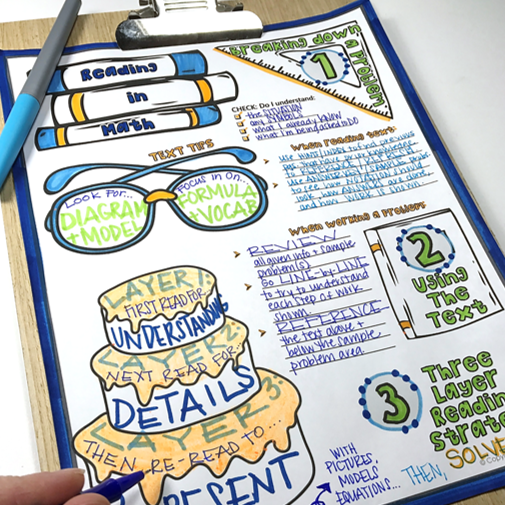 By diving into the "close reading" strategy, the ELA activities teach students to read complex text more than once for different levels of comprehension. 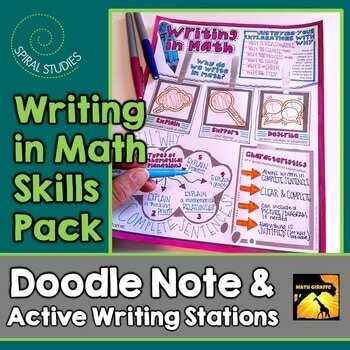 The set of materials for practicing writing skills guides students to write effectively in each different subject area. 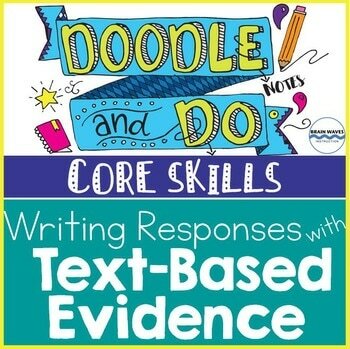 In each classroom, they dive into some writing strategies that are specific to that subject area and some that will be used across all content. 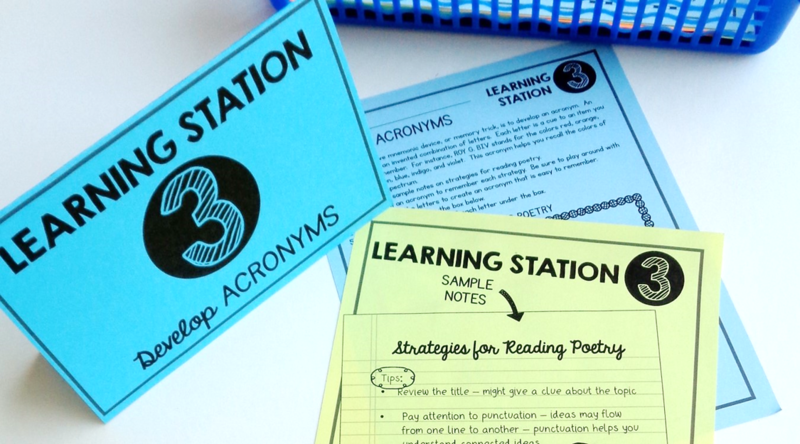 Building these writing skills through the activity stations will help your students have a foundation of writing in different situations. In English class, students learn to support their interpretation of a text with evidence. They learn to select the right evidence and respond clearly. 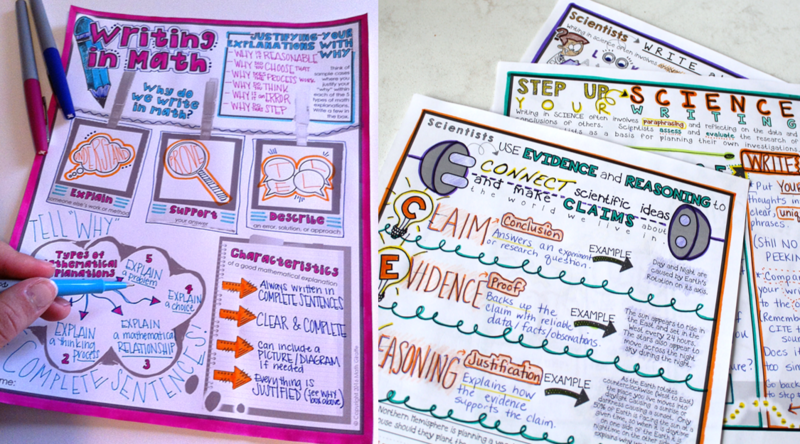 The Science set teaches students to paraphrase, write about data, and support scientific claims with evidence and reasoning. They even critique paraphrased text! The skills for Social Studies are all about avoiding plagiarism in writing. Students work to understand what plagiarism is and when & how to give credit. 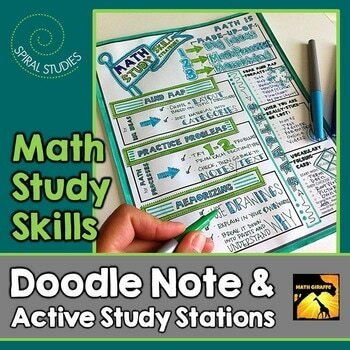 Students explore a variety of study strategies that they can apply in each classroom, and some that can cross over throughout all content areas. 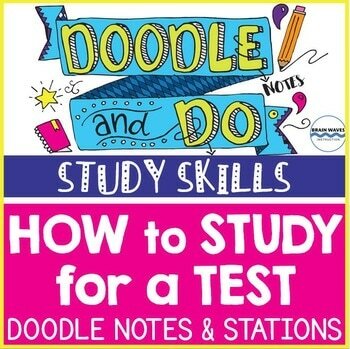 ​They will walk away with a toolbox of study methods to pull from forever -- including DIY vocabulary foldable ideas, practice tips, review strategies, and more! For Science, students learn to study smarter, not harder. 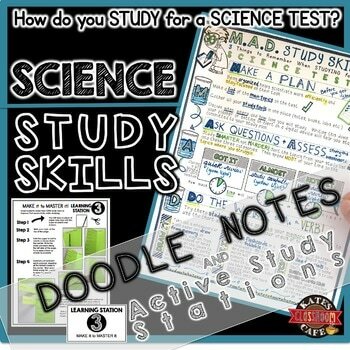 They make their own study tool with flaps, and learn to "Draw it to recall it," among other tips. 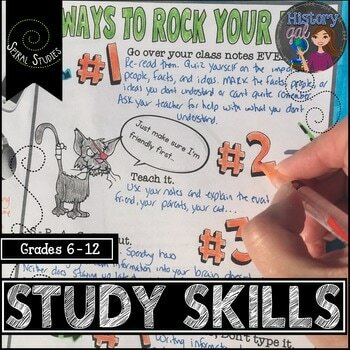 The Social Studies skills set focuses on "5 Ways to ROCK Your Test" and teaches basic study tips like reorganizing information into mind maps or lists. In English, students learn 3 big study tips, including how to develop their own mnemonic devices, like rhymes, to review key information. For Math, students learn how to memorize by using strategies for formulas and vocabulary, and how to review effectively using practice problems.